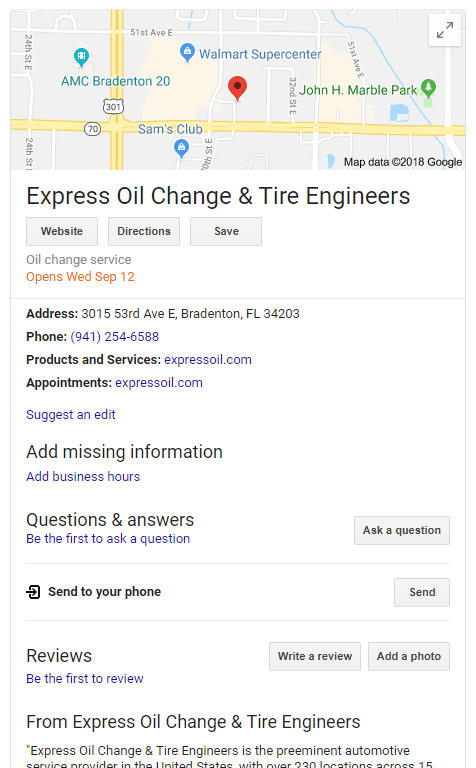 Google is now able to show the date a business will open in the future, if the business owners enters such information into Google My Business. It can show the exact date or the month and year directly in the local panel on web search or Google Maps. A year plus ago, Google began adding labels for recently opened but now they let you document when you will open, before you actually open. Damian Rollison from Brandify wrote "After some further experimentation, we can report that for now, it appears you can only indicate the open date for a business one day in advance. Google will also allow you to enter only the month and year, in which case you may see a message like "Opens September" with no specific date."